Book Your Michigan Bass Fishing Trip Today! Michigan truly is a fisherman's paradise, and for the bass angler, there is no shortage of world-class opportunities across the state! 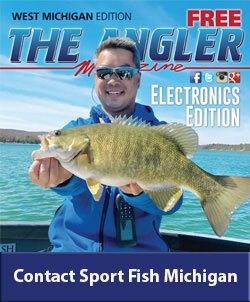 Both largemouth and smallmouth bass swim in Michigan's waters, and many of our waters grow trophy-sized smallmouths. In fact, in the 2017 Bassmaster Magazine's annual lake rankings, Michigan pulls an impressive 6 lakes out of the nation's top 100 bass waters. Lake St. Clair in southeastern Michigan ranked number 9 overall, and out of the Northeast division, Michigan held 6 of the top 10 spots. Major League Fishing, which has become one of the most popular bass fishing television shows currently aired, has been in northern Michigan for multiple tournaments, showcasing not only the beauty of our Michigan waters, but also the fisheries we have. The last stop of the 2017 Bassmaster Elite Series tournaments fished in Michigan, plying the waters of Lake St. Clair and Lake Erie. 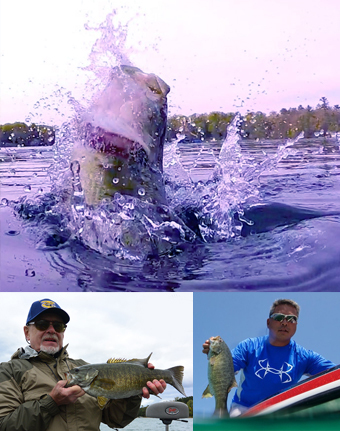 For anglers looking for the thrill of targeting smallmouth bass as well as largemouth bass, Sport Fish Michigan has multiple Captains that love to guide for these feisty and hard-charging fish. 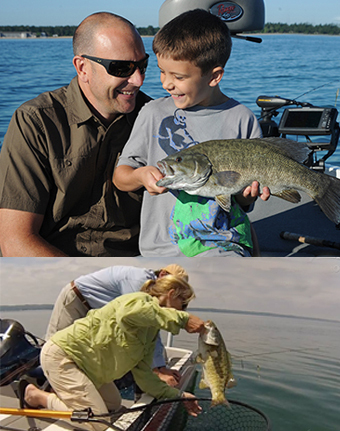 Michigan boasts some spectacular largemouth fishing throughout the state, but it is the smallmouth bass that generates the vast majority of Sport Fish Michigan's and Traverse City Bass Guide Service's bass customers. The smallmouth thrive in the clear glacial waters in Michigan. Northern Michigan is home to some amazing opportunities to target big smallmouths: Grand Traverse Bays, Lake Charlevoix and Burt and Mullet Lakes to name just a few. 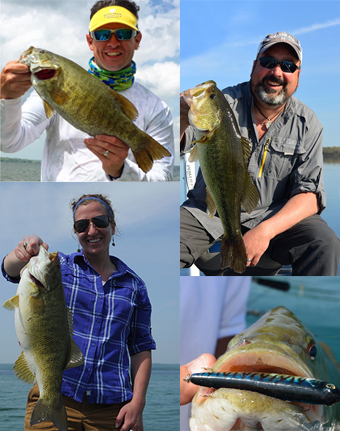 While many anglers love targeting the Bays in the Traverse City area, the inland lakes all around northern Michigan have awesome smallmouth fishing, with many trophies coming from these waters, as well. The current Michigan state record was pulled out of an inland lake! For more videos about bass fishing, other Michigan fishing opportunities, tips, techniques, and more, visit our Video Gallery.